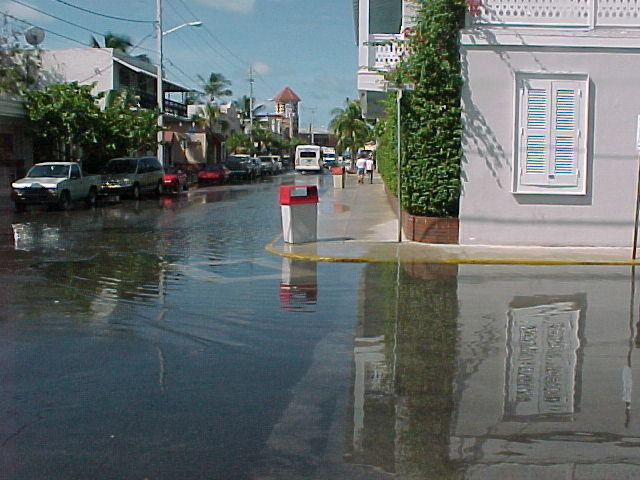 Extreme high tides that occur a few times per year in low-lying coastal areas inundate roads and other infrastructure with seawater. Image credit: National Weather Service. Public domain.